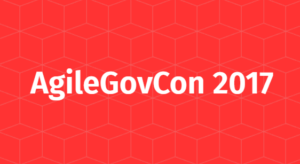 AGL is holding a free, virtual mini-conference dedicated to the adoption of agile methods in government. The event will be held June 1 at 10amPT / 1pm ET. Topics will include cultural transformation, agile in local government, modern procurement, user centered design, DevOps, and more. Space is limited to 500 participants. Register at: http://www.agilegovleaders.org/conference/.